New Movie: Home Run! Opens in Theaters April 19th! 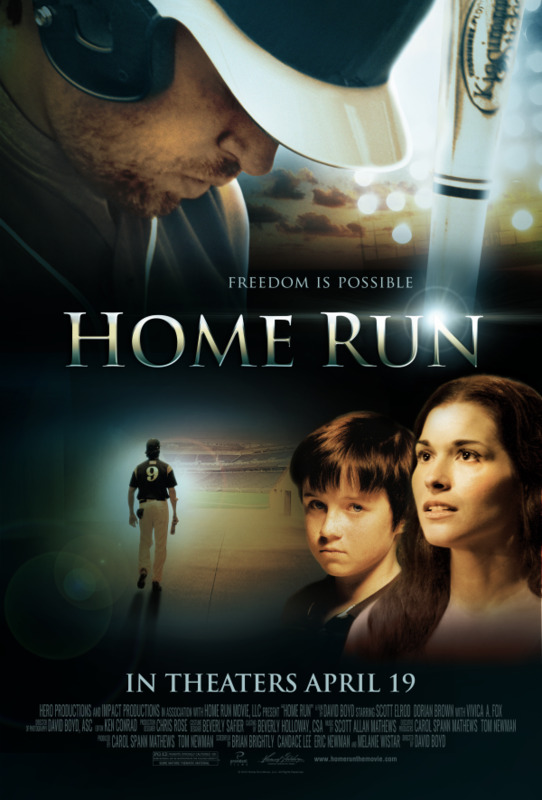 NFI is proud to support the upcoming film, Home Run, opening on April 19. Baseball all-star Cory Brand knows what it takes to win in the big leagues. But off the field, with memories of his past haunting him, his life is spiraling out of control. Hoping to save her client’s career and reputation after a DUI and a team suspension, Cory’s agent sends him back to the small town where he grew up. Forced to coach the local youth baseball team and spend eight weeks in the only recovery program in town, Cory can’t wait to return to his old life as quickly as possible. As his young players help him experience the joy of the game, Cory discovers his need to find freedom from his past and hope for his future…and win back the love he left behind. With this unexpected second chance, Cory finds himself on a powerful journey of transformation and redemption. Home Run releases next Friday, April 19. Get more information on our Home Run page and stay tuned for details on our Home Run Twitter Chat next Thursday, April 18 with great give-a-ways!